Henry has always loved playing with dinosaurs and dragons, right from a young age. It’s that fantasy style play that uses every aspect of his imagination that I love to see and actively encourage. We recently tried out the Dragon Night Hunter from the Schleich Eldrador Dragon range which took Henry’s imagination to a whole new level! 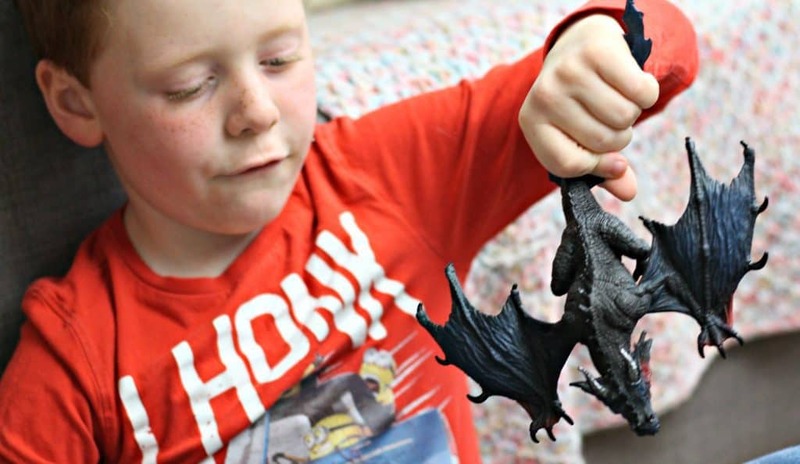 This was my first experience with the Schleich Eldrador Dragon range. I think when it comes to imaginative toys it can be hit or miss. Children either take to them really well or have no interest. I was interested to see how Henry responded and what my own thoughts were of the dragon. We received the Dragon Night Hunter best known for sleeping in a cave during the day and hunting at night! The Dragon Night Hunter is extremely well made and good quality and one of the nicest parts is that it is hand-painted and very well detailed. There is a somewhat real feel to the Schleich Eldrador Dragon range which aids imaginative play. 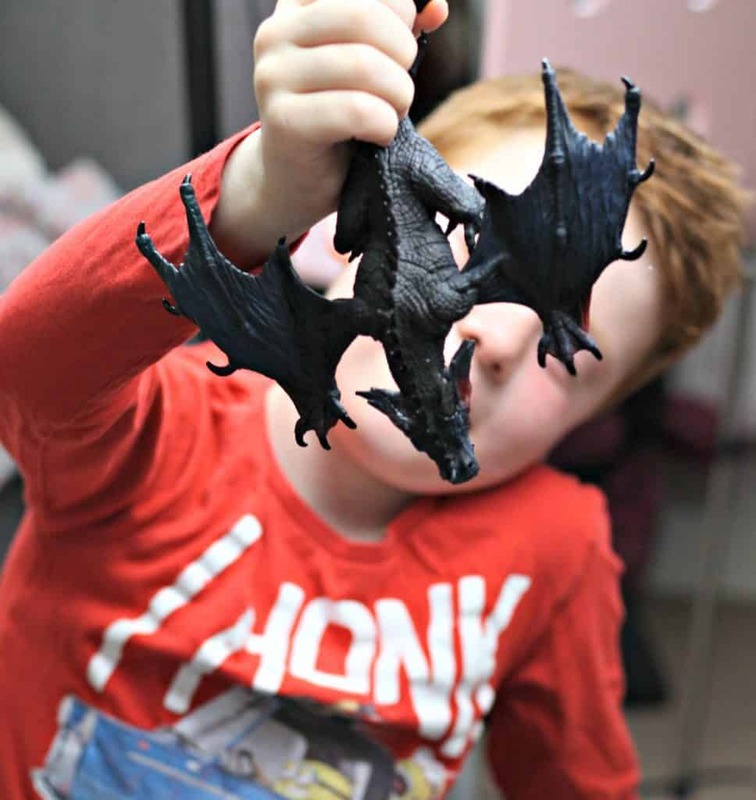 The Dragon Night Hunter has a fully moveable jaw which made play a whole lot of fun for Henry! The Schleich Eldrador Dragon’s retail at £14.99 each. Initially before I saw the product I felt the price was steep however you are getting a well made, durable and extremely detailed toy for that price and I actually now agree the price is very fair. The great thing about the Schleich Eldrador Dragon range was seeing Henry play imaginatively without the need of other toys or props. In the same breath he was also able to use other toys in conjunction with the dragon to create more fun. 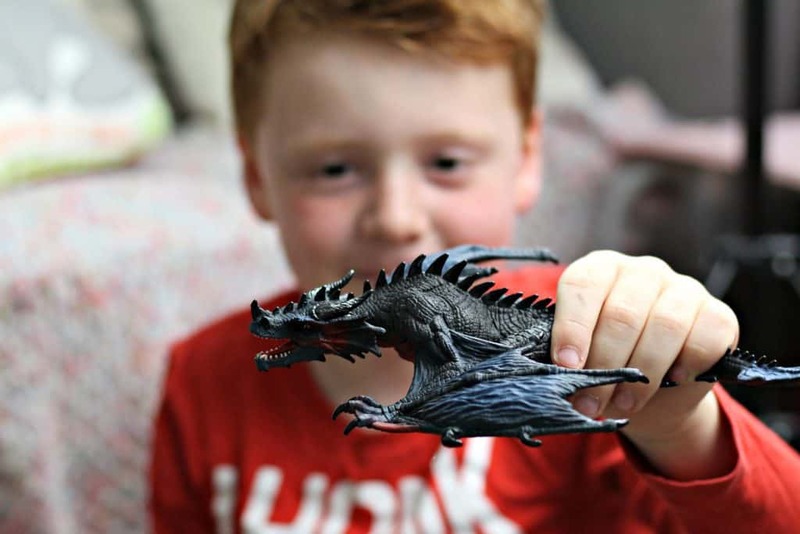 The dragon is hard-wearing and not a flimsy style toy that will damage easily which means taking this toy in the garden or out on adventures is no bother! Henry instantly began playing with the Dragon Night Hunter with no prompting or encouragement needed from me. He found the dragon easy to hold and manipulate and before long his imagination took over! Sometimes these kind of toys have a ‘novelty’ factor that can wear off quickly BUT Henry surprised me by playing with just this toy and his imagination for hours. Henry told me his favourite part was being able to move the dragons jaw and that it made it more life-like and real looking! For more information and to find out where to purchase the Dragon Night Hunter and other dragons from the Schleich Eldrador Dragon range head over here.